One of my favorite British television personalities is former Antiques Roadshow UK host Michael Aspel, who when I was a youngster came into our living room nightly, first as a BBC newsreader and then as host of my favorite end of week children’s show, Crackerjack. That was back in the 1960s and ‘70s, when Aspel’s popularity as a newsreader also lead to other high profile presenting jobs such as Come Dancing – the forerunner to Dancing with the Stars, minus the "stars", This is Your Life, The Eurovision Song Contest and the Miss World beauty pageant, which Aspel presented a total of 14 times! Aspel’s cheery demeanor has always made him a big favorite with British television viewers, but many aspects of his life seem to have been anything but cheery. Beginning as a child of seven when, during the Second World War, he and his nine year old sister and four year old brother were evacuated from their small flat in London to a terraced cottage in the market town of Chard in Somerset, 150 miles away. “We didn’t know where we were going and the mothers were not allowed on same side of the road as we walked to the local railway station,” Aspel recalled in an interview with BT.com. On arrival in Somerset, Aspel was split up from his siblings and sent to live with Rose and Cyril Grabham, who would become his foster parents for the next four and a half years. Apart from the occasional beating by the local boys, who resented the "yackies" as they were called, Aspel seems to have quite fond memories of his life in the countryside, where supervision was minimal and there was always some field or hedgerow to explore. 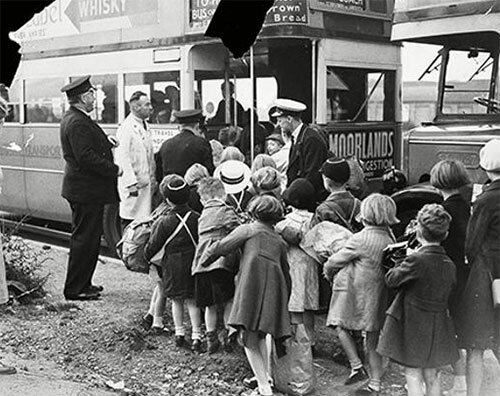 Many of Aspel’s memories of his time as an evacuee were relived in 2008 when he presented a five-part documentary series called Evacuees Reunited. 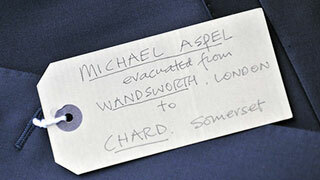 On his return to London, Aspel did well at school, passing the formidable 11-plus exam which got him into a good school. When he was 18 he started his two-year stint in the National Service, as a member of the King’s Royal Rifle Corps, and after he left he moved to Cardiff in Wales. There he worked in a department store before getting a job for BBC Wales as an actor in a BBC Children’s Hour serial in which he played a Canadian. 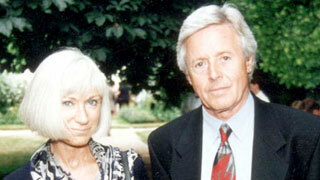 Around that time, Aspel married for the first time, but it was short lived with the couple divorcing in 1961. They had two children, one of whom, Greg, sadly died of cancer at the age of 30 in 1989. In 1962 Aspel married his second wife with whom he had twins. That marriage lasted five years. With third wife Elizabeth Power. It would be a decade before Aspel took the plunge again, when in 1977 he married actress Elizabeth Power, who long-time EastEnders fans might recognize as Arthur Treacher’s friend Mrs. Hewitt back in the early 1990s. 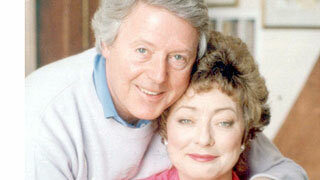 Aspel and Power, who met in 1974 when they were appearing in the Noel Coward play, Private Lives, had four children. The first, a baby girl, was stillborn, the second, a son, died at just three days old and the third – a son Patrick who has cerebral palsy – was born 11 weeks premature in December of 1980. 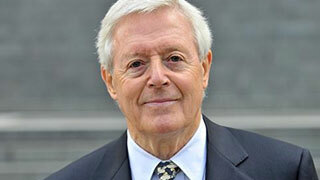 Following a miscarriage, Aspel and Power would eventually welcome a healthy second son, Daniel, into their family. I’ll have more on Michael Aspel next week, in the meantime, you can see Antiques Roadshow UK this Saturday evening on MPT2 at 8pm, when the show travels to Dumfrees near Ayr in Scotland.